Cats are beloved family members of millions of Americans. Unfortunately, these pets are also allergen factories for as many as 25 percent of the population, according to the American College of Allergy, Asthma and Immunology. As many as 29 percent of asthma cases could be linked to cat allergens. 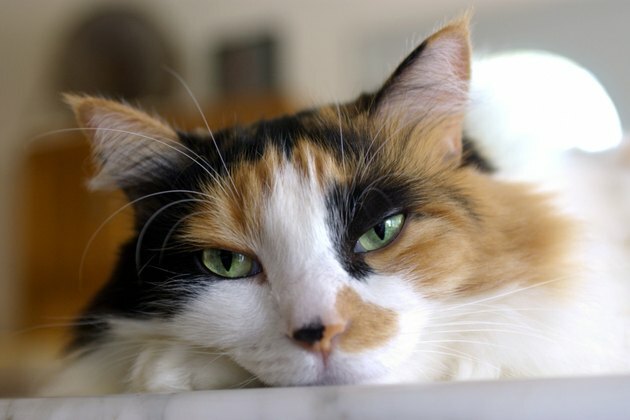 It is a common misconception that cat fur is the cause of cat allergies, but the primary culprit is a protein called “Fel d 1,” which is excreted through cat skin and cat saliva and spread over their bodies when they clean themselves. Pet saliva can get in a lot more places than you might think -- it can cling to bedding, carpets, furniture, and even clothing. Allergens are also found in the hair and skin cells (dander) that cats shed. Dander is small and can remain airborne for long periods of time, making it easily inhaled. It can also collect on fabrics and in clothing. In addition to nasal symptoms, some people also may show signs of allergic contact dermatitis, an immune system reaction that causes skin inflammation, redness, and irritation. When an allergic person comes into contact with cat saliva or dander, the immune system reacts to protect the body by releasing histamines, which are chemicals the body produces to fight off foreign invaders. The resulting hives or raised, itchy red patches on the skin are a direct result of the allergen eliciting a local immune response. As many as 29 percent of asthma cases could be linked to cat allergens, according to a 2007 study published in the Journal of Allergy and Clinical Immunology. You can also discuss allergy shots or immunotherapy with your doctor. This type of treatment involves a series of injections of small amounts of cat allergen, which may desensitize your immune system response and relieve your symptoms. Be sure to discuss all treatment options and potential side effects with your doctor. Boyan Hadjiev, MD, has been a practicing physician for five years. He is double board certified in Internal Medicine, (2003), and Allergy and Immunology, (2005). Dr. Hadjiev graduated from University of Michigan with a BA in biology and an MD from Cleveland Clinic-Case Western Reserve School of Medicine.